Was His Primary Care Doctor Ignorant of Electrophysiology? Primary Care Doctor Ignorant of Electrophysiology? “When I was talking with my primary care doctor, he wasn’t sure what an ‘Electrophysiologist (EP)’ was or even if they were regular doctors. I had to explain how an Electrophysiologist (EP) is a cardiologist who specializes in heart rhythm problems, and is board certified in internal medicine, cardiology, and more importantly in Electrophysiology. No wonder they didn’t refer me to an EP. 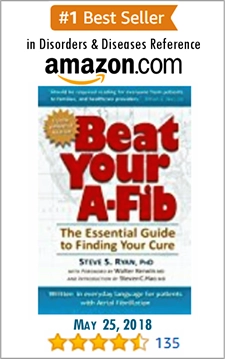 For decades, drug therapy was the traditional treatment for A-Fib. Today, it’s still common for a primary care doctor or general practitioner to treat A-Fib patients with rate and rhythm control medications rather than referring them to a heart rhythm specialist. Treatment alternatives didn’t come until the pioneering research and procedures first developed by Dr. James L. Cox and Dr. Michel Haissaguerre (the Cox Maze surgeries in 1987 and pulmonary vein catheter ablation in 1996, respectively). 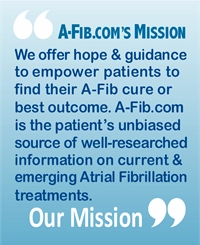 Still, it has taken twenty years for Catheter Ablation procedures to be accepted as a first-line therapy for A-Fib patients (see the AHA/ACC/HRS. 2014 Guideline for the Management of Patients With Atrial Fibrillation). 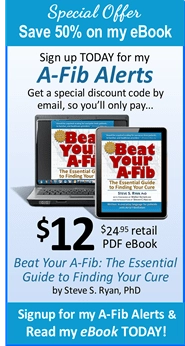 On the A-Fib.com website, one of our core tenets is to encourage patients to seek the advice of one or more heart rhythm specialists (a cardiologist who specializes in heart rhythm problems is called an electrophysiologist or EP). A-Fib is an Electrical Problem. While most people have heard of a cardiologist, they aren’t familiar with the term ‘electrophysiologist’ (EP) or what they do. They don’t know that cardiologists focus on the vascular function of the heart while electrophysiologists (EPs) specialize in the electrical function (think ‘plumber’ of the heart vs. ‘electrician’ of the heart). 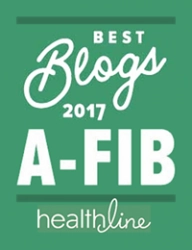 Back in 2002 when we started the A-Fib.com website, our list of recommended electrophysiologists and medical centers offering catheter ablations to A-Fib patients had only seven facilities listed. Today, our Directory of Doctors and Facilities lists over 1,800 electrophysiologists and medical centers. You can find an Electrophysiologist (EP) on your own; refer to our Finding the Right Doctor page and related readings; look for ‘board certified’ in ‘Clinical Cardiac Electrophysiology. 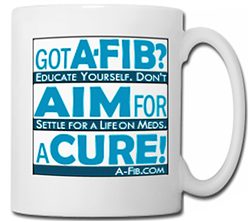 Speak out on A-Fib Forums: It is vital for A-Fib patients to seek out a heart rhythm specialist, i.e. an electrophysiologist (EP). (I often feel like John the Baptist in the desert trying to spread the word about EPs.) 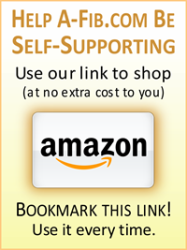 To help, you can post your comments and start a discussion on one or more of the online Atrial Fibrillation Support groups, groups such as Daily Strength Atrial Fibrillation Support Group and Facebook Group: Atrial Fibrillation Support Forum. For a list of recommended groups see our page: A-Fib Online Discussion Groups and Message Boards.